California’s Attorney General has recently given approval to the California Cannabis Hemp Act of 2014 (also known as the Jack Herer Initiative), which would end cannabis prohibition in the state, including private cultivation, and industrial hemp. 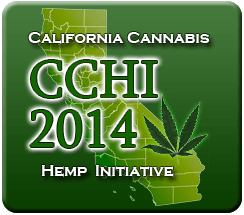 Advocates in California will begin gathering signatures in October in an attempt to put legalization to a vote in 2014. Under this initiative, the possession (and transfer) of up to 12 pounds of cannabis, and the private cultivation of up to 99 plants, would be legal for any adult 21 and older. Cannabis retail outlets would also be authorized, with the state’s legislature being mandated within 6 months to determine specific regulations. Michael Jolson, chief proponent of the initiative, tell us that signature collection for this initiative will begin on October 1st, with the aim of putting the measure to a vote of the people in the 2014 general election. Although the passage of this proposal won’t be simple, polling from earlier this year found that Californians support the legalization of cannabis by double-digit margins. Those interested in volunteering for this effort should click here. if you have any lawn signs, or stuff like that, I can help but I am currently enrolled in college and I can’t donate too much of my time. I recommend my college, Palomar College in San Marcos California for gathering signatures though and the neighboring SCUSM.